"Printed Matter'' was a column on books and authors written by Elisabeth Sherwin in Davis (Calif.) California. Sherwin's popular book reviews and author interviews were carried in several other Northern California newspapers in addition to The Davis Enterprise including the Fairfield Daily Republic, the Winters Express and the Placerville Mountain-Democrat. If you want to reprint any material on this web site, please send e-mail inquiries to: yamagata@dcn.davis.ca.us. She has lectured locally about books and writers for various groups, including the Woodland Public Library. "Printed Matter," which she began writing in 1987, covers both local writers and well-known national favorites. If you have a favorite you'd like to see included, send an e-mail message to gizmo@ dcn.davis.ca.us Elisabeth Sherwin worked as a staff writer for the Davis Enterprise for close to 20 years. Sherwin graduated from Hiram College, Hiram, Ohio, in 1971 and earned her master's degree in journalism from Northwestern University in 1981. For an Elisabeth Sherwin essay on her experiences at Hiram College and Bowler Hall, see "Hiram College in 1967-71." Elisabeth became the Executive Director of the International House Davis, CA in April 2008. 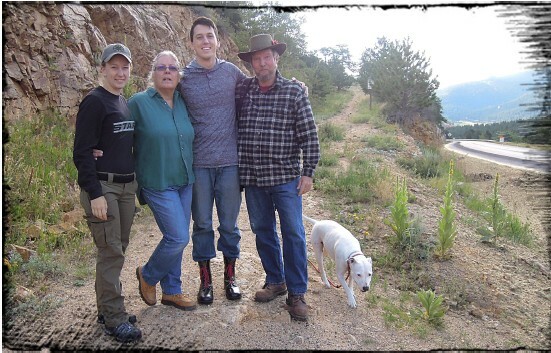 Elisabeth Sherwin left Davis in the spring of 2015 and moved to Allenspark, Colo. She lives on 2.5 acres at 8,500 feet with her partner, Mike Brown. 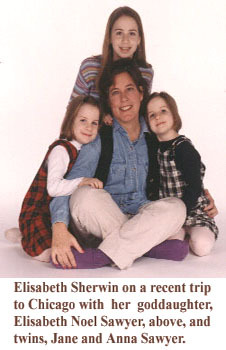 To read more about Elisabeth Sherwin in Colorado [Click Here]. hiking Cowbell Hill in Allenspark, Colo. in 2017. Professor Don Gibbs of UC Davis, the founding chair of the department of Chinese and Japanese. Upon retirement from UCD, Gibbs and his wife, Loretta, were asked to run the UC program in Beijing, China, for two years. Gibbs has been back in the United States for a year, and recently returned to Davis. His wide-ranging talk will cover political events in China, the university's role, and the role of censorship. Don and his wife, Loretta, have lived fulltime in San Francisco since 2014. Another local personality featured many times within this site is commercial artist, illustrator and children's book writer Yan Nascimbene of Davis. Nascimbene grew up in Italy and France and came to the United States as an adult to attend UC Davis. He frequently showed his work in galleries in California and in Europe. His first children's book, "A Day in September," published in 1995, has become an international award winner. Two more books, "Ocean Deep" was published in September 1999 and "The Beautiful Christmas Tree" was published in September 2001. Yan Nascimbene died on Feb. 1, 2013, in San Miguel de Allende, Mexico. His death was part of a column noting the death of four notable authors - "Printed Matter mourns the loss of four great writers." Other authors interviewed have included: fantasy writer (2/25/95) (9/21/97) (12/28/01) Peter Beagle; columnist Bob Dunning; mystery writer Donna Levin; science fiction writer Kim Stanley Robinson; fiction writer Laura Reese; published historian Kathryn Olmsted; magazine writer William Langewiesche; UC Davis Spanish and Classics lecturer Francisco Alarcon; and children's author-illustrator Yan Nascimbene -- all Davis residents. Former Davis residents featured many times within the Printed Matter web site are the popular autobiographical author Gus Lee; and the Pulitzer-Prize winning author Jane Smiley, who writes with a home grown flavor for agricultural university towns, such as Davis; and mystery writer John Lescroart. Fred Sherwin reclines at home in Davis after a hearty meal. 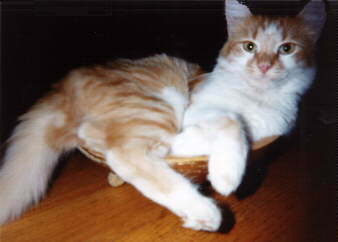 For more about Fred visit "Why Can't Anyone Write a Good Book About Cats," the January 11, 1998 Printed Matter Column.